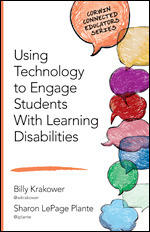 For my LD students, getting paper into an accessible format is a daily task. Despite being in a school for students with learning disabilities, some teachers still provide paper reading and/or to some students who do better with ear reading and dictation. Given that most of our students have iPads, we have found easy tools for to address this…a post for another day. In one of my classes, two of my students have iPads, but one student lobbied with me to start using his MacBook as he is transitioning and the end of the year and feels he will use his laptop more when he returns to his public school. Additionally, he wanted to improve his typing skills, as he knows his technology is so important for output and he has already mastered dictation. Yet, when it came to me supporting this student in getting paper to be accessible, this MacBook was a challenge, but this was a very crucial thing for me to be able to do, not only for my class, but for work from his other classes. I had some round about ways that were a bit clunky, but was getting the job done. Then I tried Snapverter (a Chrome add on) from TextHelp and could not believe how easy it was. With a Google Account and this add on to Read and Write for Google (read more about that here), converting paper was a snap! Snapverter puts a set of folders in your Drive account. You scan or take a picture of a document and literally drop it into the “Drop here to convert” folder. Then with the magic of the tool, it will move to the In Progress folder and when conversion is complete, appear in the Finished folder. That’s it! Once the converted document is opened, it will be accessible with the tools of Read and Write for Google. To go a step further…I was converting the documents and then sharing them to my student. Thinking how I could simplify this, I installed Snapverter on this student’s computer in hopes to teach him how to use this independently, but in the meantime I simply shared his Snapverter folder with me. This enables me to take a scan or picture I took of a document and drop it in his folder and he automatically has access to it, I do not need to share it. While this would be tedious if you had a large number of students to do this with, it works well when just have to work with a few students. Snapverter from TextHelp can make the conversion of paper to be accessible with ease and could enable students to do this for themselves, creating independence and empowerment. Check out more about Snapverter here.